FEUDAL VILLA SEASHORE FOR RENT inside EL PARADISO Beach Resort, Tingko, Guiwang, Alcoy Cebu Philippines. Furnished 5 Bedrooms House in Banilad Cebu City. Beach Quadro House for SALE/RENT inside EL Paradiso Beach Resort, Tingko White Beach, Alcoy Cebu Philippines. House for rent in banilad cebu city. Large House with Ocean View for Rent in Maria Luisa Park. House and Lot for rent in capitol cebu city. Semi Furnished House and lot for sale/rent in banawa Cebu City. House For Rent in Banawa Cebu City. 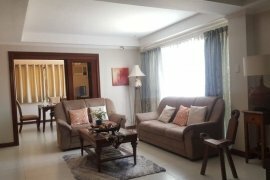 3 Bedroom House for Rent Overlooking Maria Luisa Park. House For Rent in Ridges Banawa Near Rustan Banawa Cebu City. 4 Bedroom House For Rent Maribago Lapu-Lapu City. 5 Bedroom House for Rent in Maria Luisa Park. Spacious 4 Bedroom House for Rent in North Town Homes. Modern 4 Bedroom House for Rent near Cebu IT Park. BEACH House KING3 with 80sqm. @ 3.6 Mio inside KING ARTHUR'S PLACE RESORT, Alcoy, Cebu, Philippines. 4 Bedroom House for Rent in Maria Luisa Park. 3 Bedroom House for Rent in Maria Luisa Park. House FOR RENT WITH SWIMMING POOL IN CEBU CITY. Semi-Furnished House located in Lahug Cebu City. THAI House SEASHORE at TINGKO WHITE BEACH ALCOY CEBU PHIL. Bungalow House for Rent in Cebu, City. ROMANTIC POOL CAVE SALE/RENT direct in Swimming Pool, inside EL PARADISO RESORT, Guiwang, Alcoy, 6023 Cebu Philippines. Beach House Calypso King Arthur's Place White Beach Alcoy Ph. 3 Bedrooms Semi-Furnished House in Mandaue City,Cebu. Hello, Please contact me, I am interested in houses for Rent in Cebu. Best Regards. Cebu is undeniably the most influential province in the South. Because of its role in our history and its impressive progress, the Queen City of the South can't help but to shine brighter than any other municipality. There are many reasons why people choose to move to Cebu. Aside from its incredible tourist spots, Cebu is also filled with opportunities. With its 9 major economic zones, no one will doubt that he or she can get the break that they're looking for in this province. If the Manila scene gets too crowded, Cebu will surely be there to welcome anyone. Cebu is also known for being the perfect combination or rural and urban. You can still enjoy the fast paced city life without letting go of the peaceful provincial life. There are farms, beaches, and nature spots where anyone can take a break from the commercialized lifestyle enjoyed at the center. Sumilon Island - The tropical environment, white sand beaches, and breathtaking lagoons are enough to keep the stress away. Bantayan Island - Locals described the Bantayan Island as its own version of Boracay because of its pure white sand. It's the perfect place to swim or to just relax. Kawasan Falls - This tourist attraction is simply one of the must go to destination in Cebu. The majestic crystal clear waters are enough to calm and rejuvenate. House for rent in Cebu short term are also available for those who simply want a glimpse on what this majestic locale has to offer. Check out Dot Property Philippines for more awesome properties in different parts of the country. Dot Property is Philippines’s leading online real estate rental resource, listing 813 affordable houses for rent in Cebu. Save this search to receive emails when new houses for rent are listed in Cebu. Rental properties in Cebu are provided by Philippines’s top real estate professionals and private home owners. The average houses in Cebu rental asking price was ₱ 79,122 on 1 Apr 2019 and the average size was 297.0 square meters with 3.9 bedrooms. Agents such as Michelle Madarang - Trusted Real Estate Broker, Gena Mahinay-Rilling and loreza 'dexra' asistio can also help you speed up your houses search in Cebu. You can also create your own rental listing by uploading your houses for rent for free in two easy steps - signing in and creating a property ad. In addition to rentals in Cebu. Dot Property also provides houses for sale in Cebu should you like to compare availability.